Can artists and designers create alternative narratives about specific social issues and provoke critical viewpoints of our world? 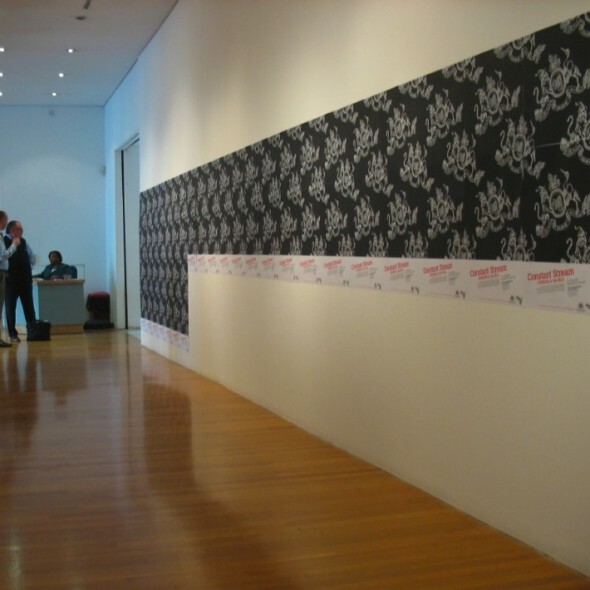 Constant Stream: China 09 is an exhibition project from the Royal College of Art (RCA, UK) set out to show they can. After its success in London in May 2008, the exhibition continues to stimulate dialogues between China and other cultures and refers to the contrast between centuries of tradition and a fast-changing modern society with the potential to impact greatly on global affairs. Nine projects with a special screening (Useless by Jia Zhangke, China, 2007) by international artists seek to engage with China as a concept in flux rather than as a fixed entity, as it is so often portrayed today. Opening exhibition Private View – 9 May 6pm-9pm CHINA08 @ RCA – work from Anothermountainman, Jia Zhang Ke, Ma Ke, Aline Helmcke, Miranda Tsui Ngai, Judith van den Boom, Shih Hsin Chao,Yu Tianqi, Architecture RCA (ADS1), Industrial Design Engineering (IDE) RCA, Matt Appleton, Hei Cheng, Suk Han Lee, Emilia Serra and Zhang O.